The flagship TSS bag! These bags are designed to be the perfect companion for any crafter, but they work great as purses, lunch bags, or general all purpose carry-alls. 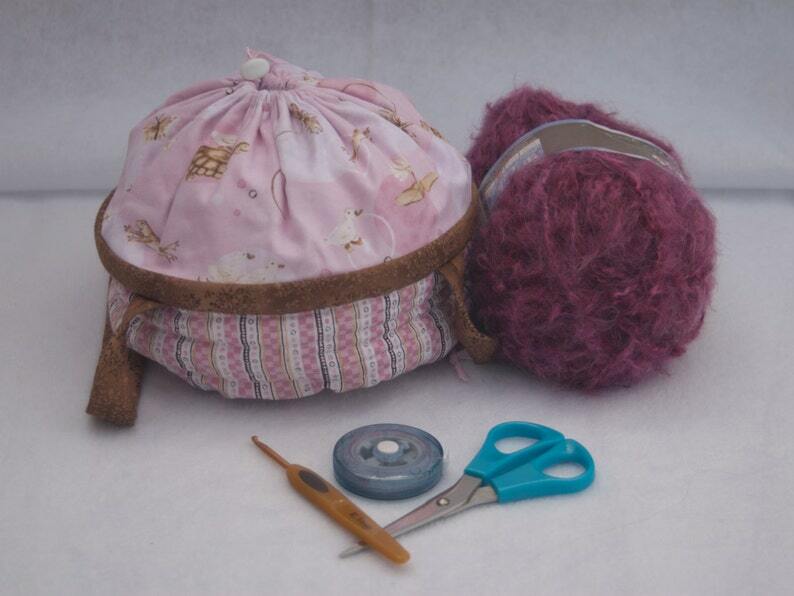 All bags have a spacious "basket" bottom a drawstring closure on the dome to keep your goodies safe. The Pink Lullaby bag is perfect for any girlie girl. It's a delicate pink top with animals, a pink/brown/white striped bottom, and brown trim/handles. Need more ideas? Makes a great baby shower gift! Simply fill with shampoo, diaper cream, pins, etc. for an instant present.